WASHINGTON — An unidentified foreign government is asking the Supreme Court to get involved in a case that may be part of special counsel Robert Mueller’s Russia investigation. The appeal doesn’t identify the country, a company it controls or even the lawyers who are representing it. 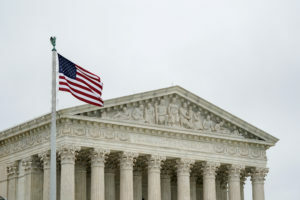 But the appeal says the justices should make clear that a federal law that generally protects foreign governments from civil lawsuits in the U.S. also shields them in criminal cases.